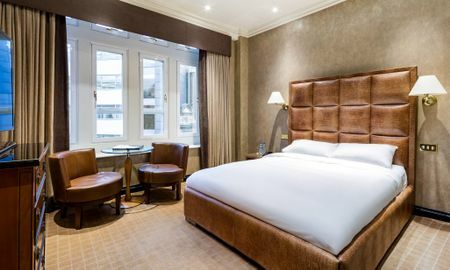 London’s only hotel with a Leicester Square address in the heart of film & theatreland. 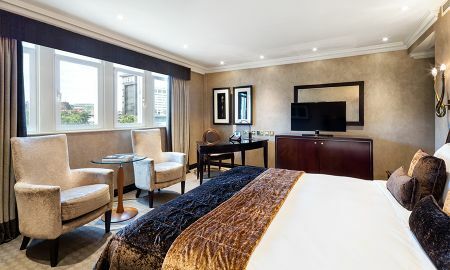 Close to Soho, Covent Garden & Trafalgar Square, with great links via nearby Leicester Square & Piccadilly Circus stations. 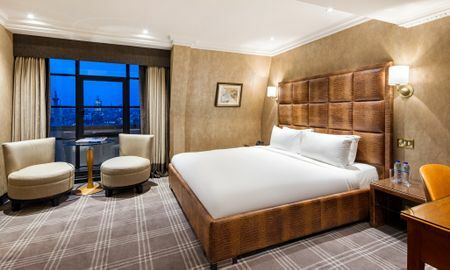 The Radisson Blu Edwardian Hampshire 5 Star hotel has a total of 127 bedrooms with 76 double, king and twin rooms, 28 deluxe king rooms and 23 suites and junior suites. 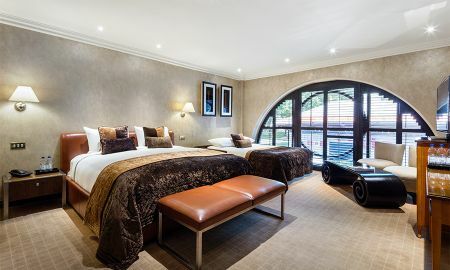 The beautifully decorated luxury bedrooms provide a sumptuous environment for guests to work and play in. 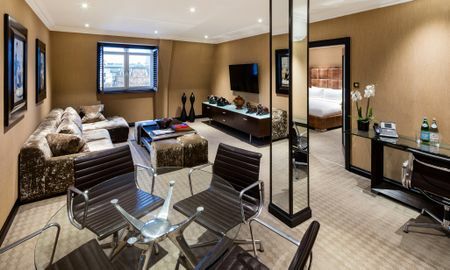 Original art work, faux silk wall coverings and sumptuous furnishings provide a 5 star luxury experience. All bedrooms feature premium skincare brand REN toiletries. Leicester Square Kitchen is a place to enjoy superb food in effortlessly cool surroundings. Contemporary furnishings coupled with a relaxed atmosphere provide the backdrop to a fabulous fusion of Peruvian-Mexican sharing plates, with all food being prepared onsite. Meanwhile, the at The Hampshire Lounge Bar and Al fresco terrace offers afternoon tea & light snacks. Always on trend, the Lounge Bar also features regular collaborations with some of the world’s finest food & drink brands. Leicester Square is one of London’s most exciting and dynamic areas. 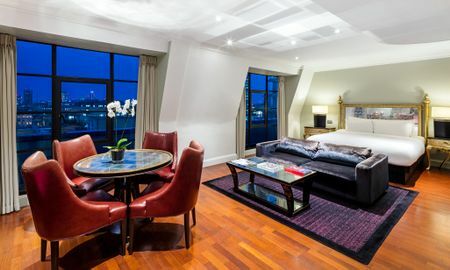 In London’s equivalent of Times Square, you are within walking distance of theatreland, China Town and a myriad of hip bars and restaurants. On a more mellow note, there are dozens of pavement cafes in the square itself where you can muse with a cappuccino and soak up the atmosphere. 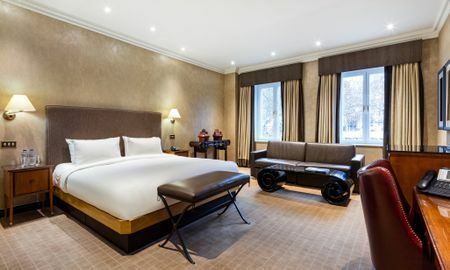 You may also be lucky enough to catch A-List Celebs gliding down the red carpet, as Leicester Square is home to some of the hottest film premieres in London. Attractions and Local Landmarks: Leicester Square, West End theatres, Chinatown, Soho clubs, bars and music venues, Royal Opera House, Trafalgar Square, National Gallery, Covent Garden, Parliament, London Aquarium, British Airways London Eye, Cabinet War Rooms, St. James Palace, Pall Mall clubs, Piccadilly Circus and Eros. 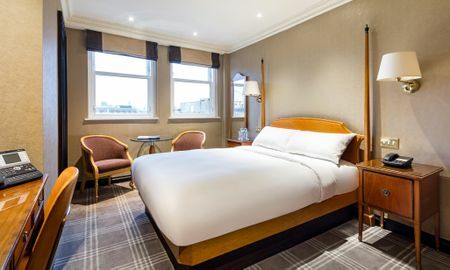 Radisson Blu Edwardian Hampshire Hotel is located on Leicester Square, within walking distance of China Town, theatreland and a myriad of hip restaurants and bars.